Combine the versatility of a utility cart with the style of a sharp office desk and you have the Mesa Mobile Utility Table from OFM. This compact, attractive unit provides the perfect place for your copy machine, fax machine and printer. 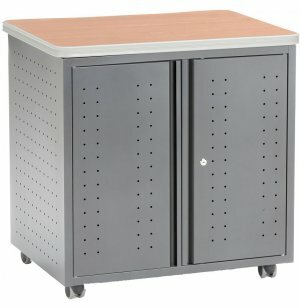 It rolls on four casters which make it easy to share among a number of offices or classrooms. For a great fit, it matches perfectly with Mesa desks. These utility carts are tough and convenient. They are constructed from 14-gauge steel with thick high-pressure laminate tops. 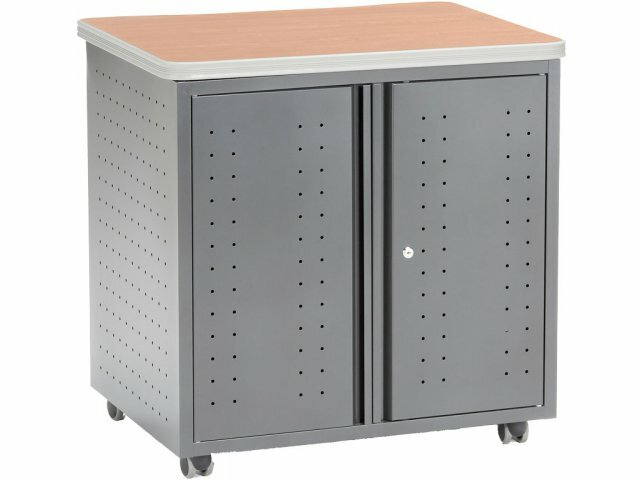 The locking ventilated cabinet with an adjustable shelf keeps equipment secure yet mobile. With a handle in the rear of the unit for easy steering, this utility table will get your equipment to its destination quickly and easily. 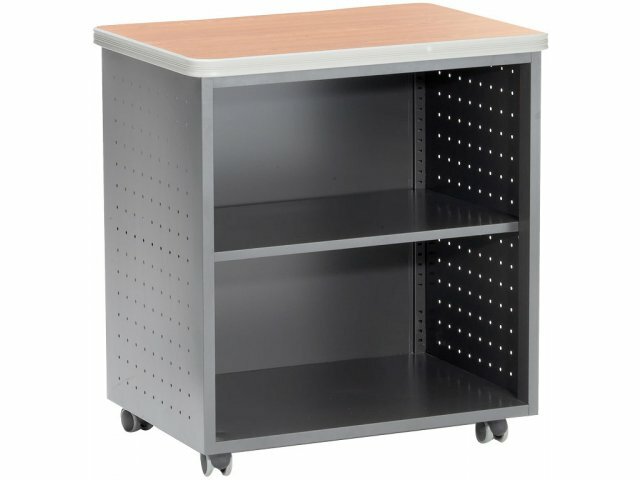 Quality Materials: Built from hefty 14-gauge steel, with a 1-1/4"-thick high-pressure laminate top and 9mm t-mold edge banding, these utility carts are engineered with top materials. Cable Accessible: Wire management slot in back of cabinet provides access to outlets. Perfect Fit: Includes an adjustable-height shelf that can easily be raised or lowered without tools. 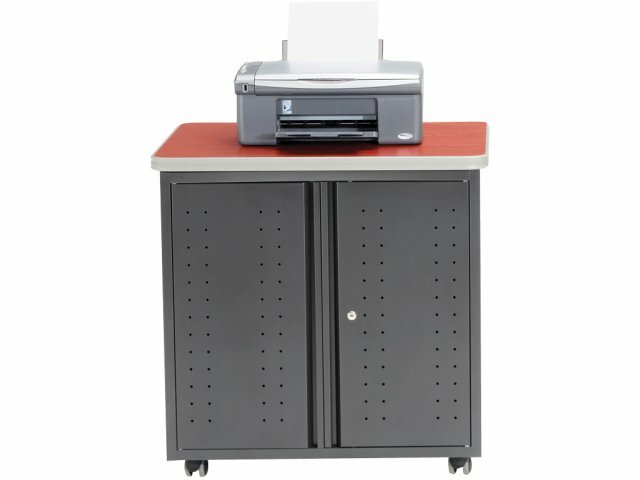 High Capacity: Holds over 200 pounds; can support a copy machine, fax machine, printer or anything else you need. No Overheating: The locking ventilated cabinet keeps materials secure with an open airflow to prevent damage to equipment. Smooth Rolling: Steers into position on four casters with the use of a convenient built-in handle.